Looking for extra secure storage space? With almost 200,000 m3 storage capacity worldwide, AGS provides secure and flexible solutions for short or long-term storage. We take great care of your belongings in our modern and ultra-safe storage warehouses. Our secure storage facilities are regularly inspected and well equipped, so you can be sure that your belongings are securely stored in the best conditions. Our clients, both professionals and individuals, have access to a network of 141 storage warehouses in 95 countries. Focused on security, flexibility, confidentiality, and customer satisfaction, we offer professional packing and storage materials for the best protection of your belongings. Whether you need to store furniture, fine art, commercial goods or professional equipment, our secure storage facilities are equipped with the best technology to keep your belongings safe. What makes our secure storage facilities unique? AGS guarantees secure solutions to store your belongings for as long as you need it, whether you are moving, renovating your house, needing to store seasonal furniture etc. Your furniture is wrapped, protected and/or crated whether it needs to be loaded for short or long-term storage. This maximises the protection of stored furniture and simplifies matters when a stored consignment needs to be shipped on short notice or if there is any change in your initial plan. A packing list is completed and each box is identified and marked. Then your items are loaded in specific storage boxes or containers, sealed in your presence, and stored in our ultra-safe storage warehouse. With AGS, everything is made to make your life easier. Accredited by the most prestigious quality organisation, we deliver comprehensive secure storage facilities for individuals and professionals according to their requirements and specific needs. 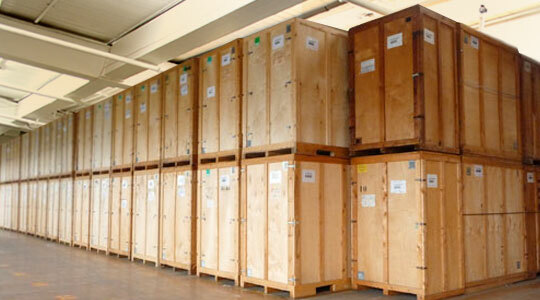 We can securely store household goods, commercial goods, fine art, vehicles, documents, professional equipment etc. and you can access to your belongings at any time. All our secured storage warehouses are equipped with automated and computerised management of arrivals and exits to offer you 100% reliability and peace of mind.